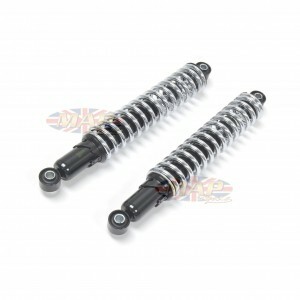 Swap out those worn out old shocks on your bike for a really nice pair of replica shocks that will give you a nice ride and won't break the bank. 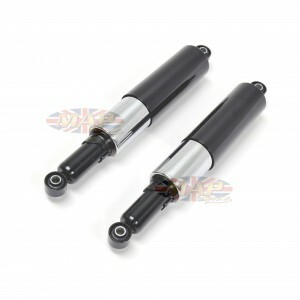 These shocks are designed to bolt up directly to Norton Commandos models up to 1974. 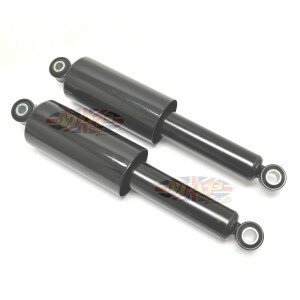 Overall length 329mm (12.9"); bushing I.D. 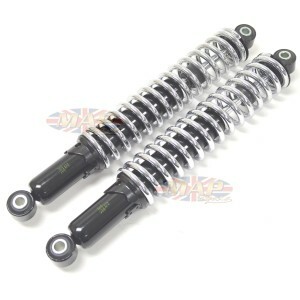 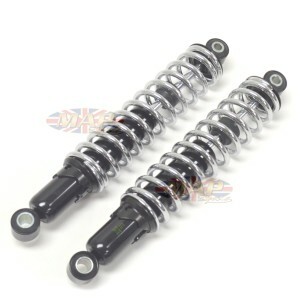 9.5mm (0.381"); bushing width 20mm (0.787"); chrome exposed spring with gloss black body.